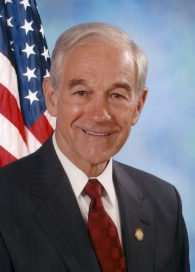 Could Ron Paul be our hope for legalization in the next administration? While The Art of Mary Jane hasn’t officially endorsed a Presidential candidate, it is difficult to ignore where Paul stands on the legalization of marijuana. In 2007, Paul gave his support to industrialized hemp by getting behind an amendment to the Controlled Substances Act to allow farmers to plant legal hemp for every day use. We know hemp is the future – it is much more economical to use and better for the environment. In 2001, Paul co-sponsored the States’ Right to Medicinal Marijuana Act. It’s clear he recognizes the merits of cannabis use among people suffering various illnesses. Lately, though, we’re hearing that Paul couldn’t make weed legal as President even if he wanted to. Is that true? Scott Morgan over at Stop the Drug War seems to have a good rebuttal on the subject, and it’s worth reading. Remember, too, that your vote counts in this upcoming election. Know the issues, and know what the candidates intend to do about them before you choose. Your vote is too valuable to throw away.